Through Events in Croatia category, Frank would try to give you an overview of different events happening in Croatia throughout the year. Ok, lets be honest here, Croatia is not LA or New York, but there are some interesting events worth attending. Croatia is really small country, so majority of events in the winter period take place in Zagreb, Croatian capital, while the rest of the country is more or less inactive. Starting from May throughout October, there are many events taking place in towns along the coast. Island of Pag becomes the center of clubbing holidays; Istria turns into Jazz destination, while Dubrovnik turns into an open stage during Dubrovnik Summer Festival. It is time to update you on Croatia Festivals that will take place in 2017 in Croatia. All the festivals for 2017 have been confirmed by now, so this overview should be pretty reliable. This post is brought to you by Morena. We know Morena for over five years. 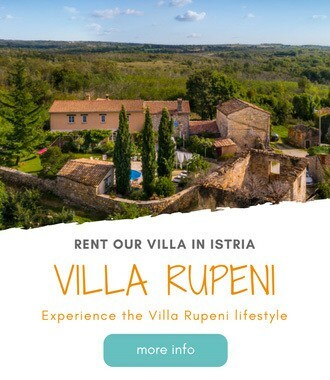 Morena is involved with Istria Inspirit, interesting project promoting Istrian myths and legends to visitors to Istria. Here is her story! Events in Rovinj range from art exhibitions to lively music festivals and anything in between. Events include anything from street art, open-air concerts, culinary events, to photo exhibitions and small antiques fair.